e United States as of Feb. 21, the CDC has confirmed 159 cases so far this year in 10 states: California, Colorado, Connecticut, Georgia, Illinois, Kentucky, New York, Oregon, Texas, and Washington. That compares to 372 cases last year. Here’s what you should know. how to prevent cold-related health problems and protect yourself during all stages of a winter storm. vember 15th, the Food and Drug Administration launched a multi-pronged attack on the rising underage use of tobacco products, imposing sales restrictions on flavored e-cigarettes and announcing plans to ban menthol cigarettes and flavored cigars. one can practice food safety during the holidays. ridium perfringens (C. perfringens) is one of the most common causes of food poisoning in the United States. CDC estimates C. perfringens causes nearly 1 million cases of foodborne illness each year in the United States. 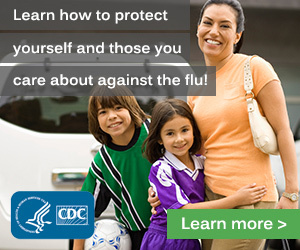 s only October, but we already have the first confirmed pediatric flu death of the season in the United States. Florida health officials announced that an unvaccinated child died between September 30 and October 6 of influenza B, which is generally the less-deadly virus of the four types of influenza in circulation.